- BOON SUNSHINE GOOC (M/ BLUE BOONSMAL) 106,5 PTS ABQM. 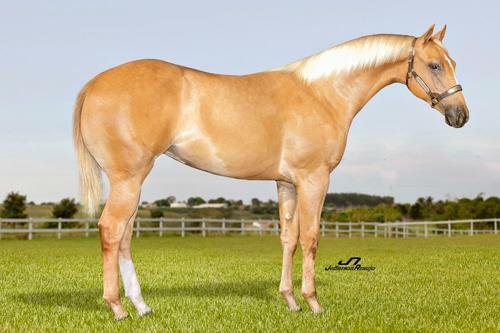 CAMPEÃO POTRO FUTURO ABQM E AQHA WCH AB. RES CAMPEÃO POTRO FUTURO ANCH WCH, 3O.L DERBY ANCH AB. - TRUMP BLUE GOOC (M/ BLUE BOONSMAL) CAMPEÃO NACIONAL ABQM TEAM PENNING AM MS.
- SHINY STARLIGHT (Grays Starlight) U$ 17.357,00. - MERADAS TRAVALIN MAN (Travalena) U$ 7.354,00, Top 10, PCCHA Futurity Gelding Stakes Ab. -- SHINY STARLIGHT (Grays Starlight) U$ 17.357,00. -- MERADAS TRAVALIN MAN (Travalena) U$7.354,00, top 10, PCCHA Futurity Gelding Stakes Ab.